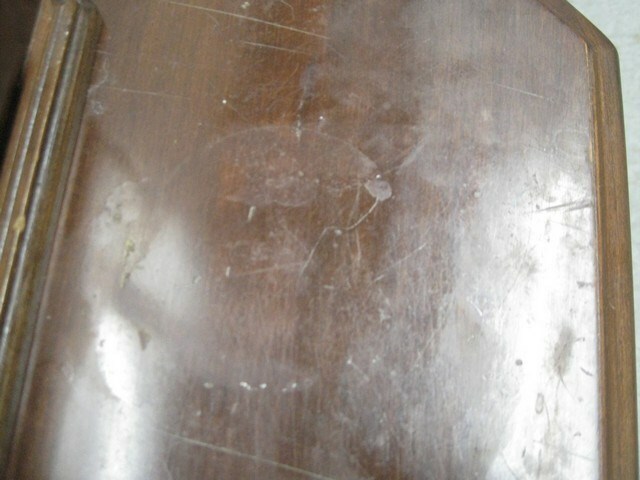 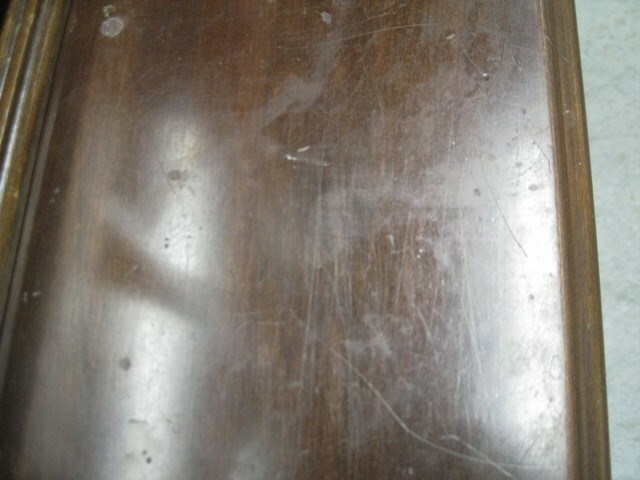 Condition Top is Fair with wear/nicks scratches and rings, the rest is in good condition. 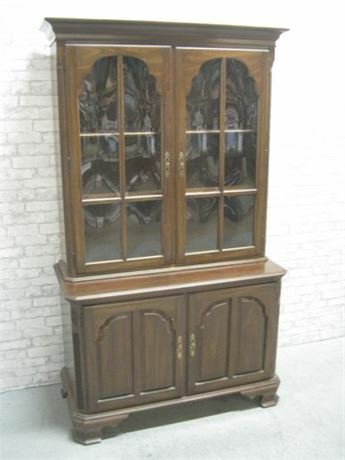 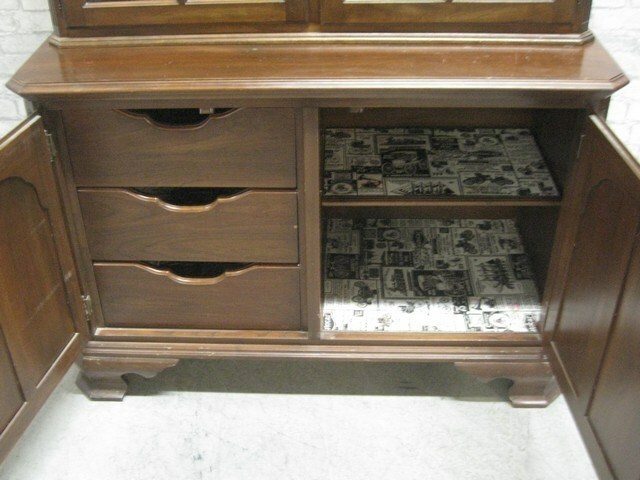 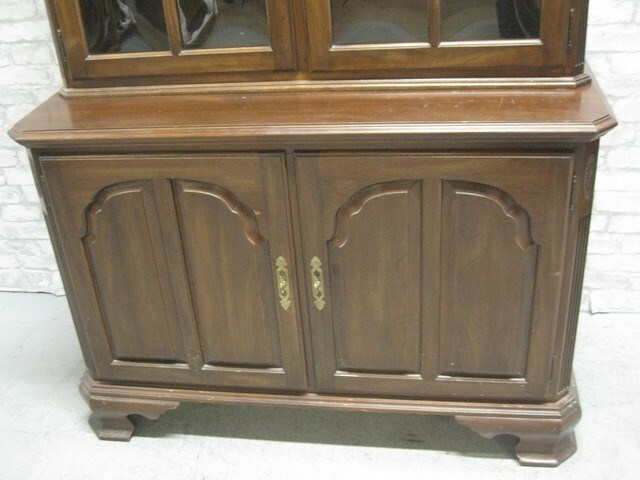 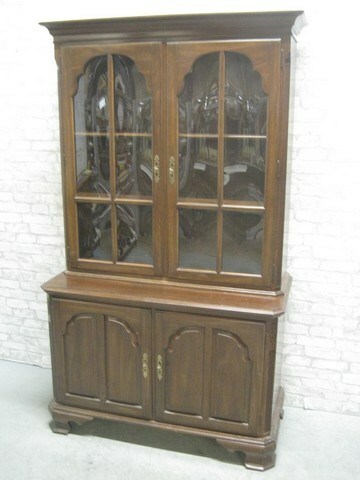 Ethan Allen China Hutch with Bowed Glass. 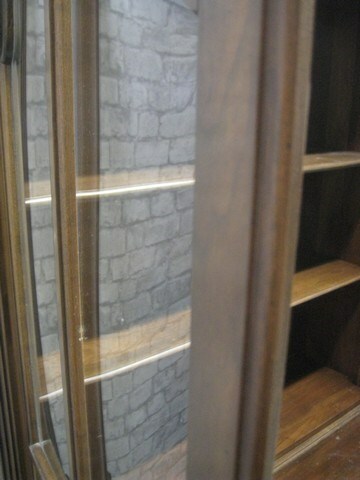 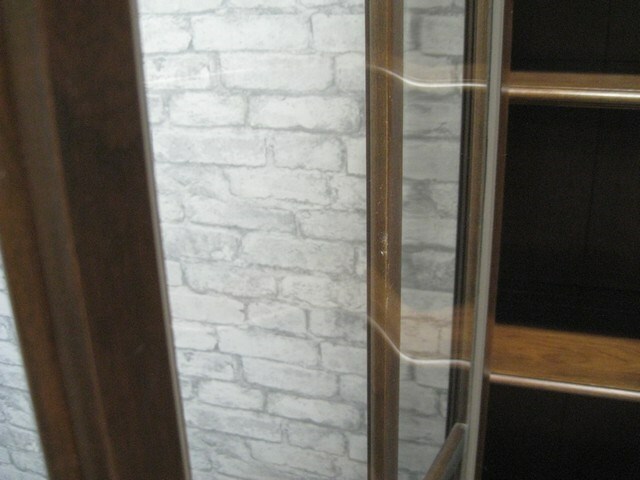 Glass in doors is 1 piece, but is bowed, plus has mullions, so it appear like separate pieces of glass. 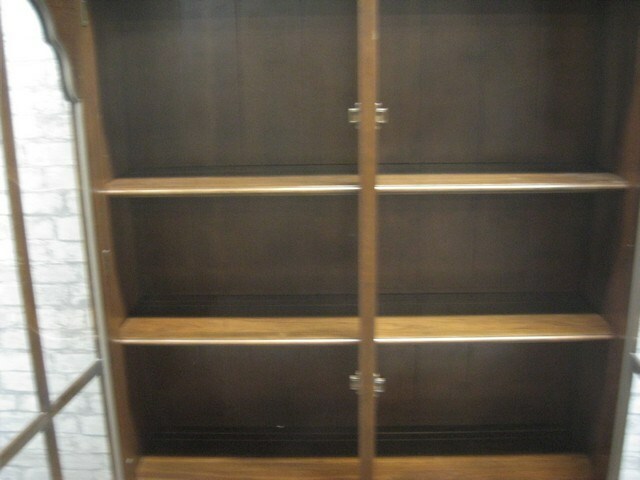 Top has 2 adjustable wood shelves. 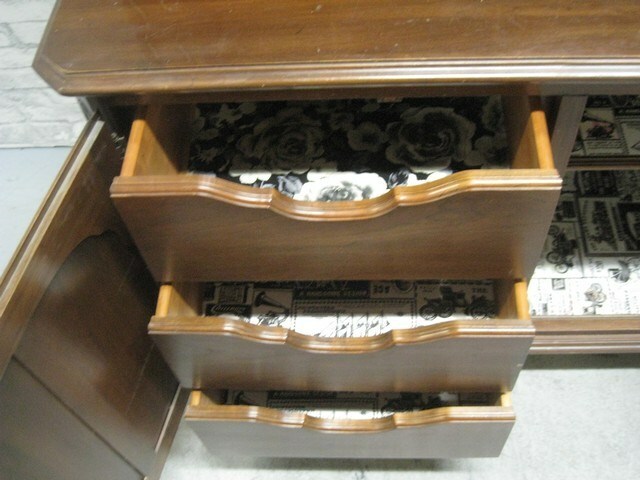 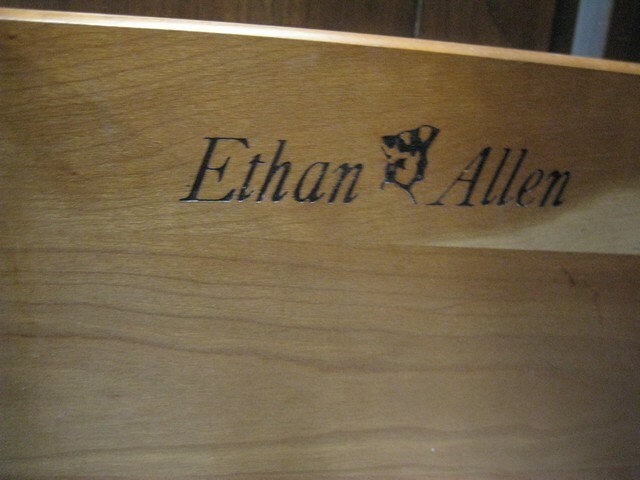 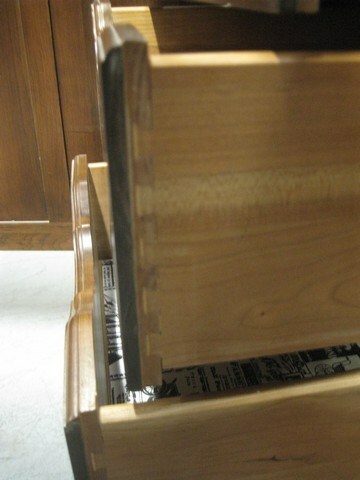 Bottom drawers are dovetailed. 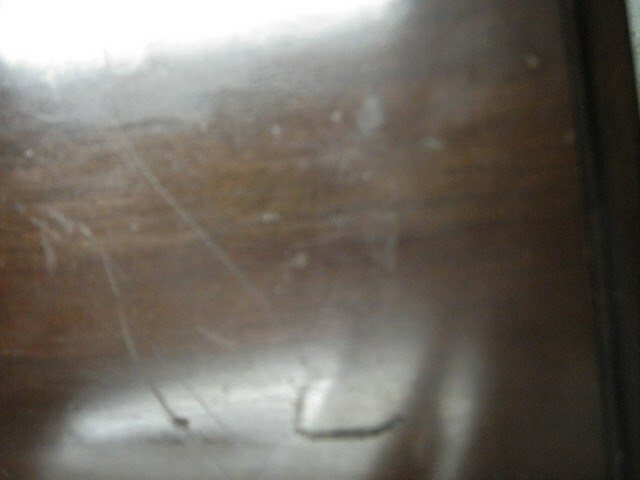 Top has wear/nicks scratches and rings.